The Dutch energy sector is proud of the broad National Energy Agreement which was signed on to last year by representatives of the energy industry, consumer and trade associations and NGO’s, and which is now being implemented. But concluding an agreement is one thing, implementing it is another, notes the International Energy Agency (IEA) in an instructive review of Dutch energy policy. The Netherlands still relies heavily on fossil fuels and is lagging behind other European countries in renewable energy: high time for action. Every five years the International Energy Agency (IEA) publishes an in-depth review of energy policy in its member countries. Recent reviews include those of Austria (2014), Germany, Finland and Sweden (2013) and non-member Estonia (2013). In Autumn a new review will be made on the European Union. These reviews are worth reading as they offer not only an updated overview of energy policies in a specific country, but also enable the reader to learn from experiences in other regions. The Energy Agreement is interesting as it illustrates an essential aspect of Dutch culture: its age old approach of trying to reach compromises and include all relevant actors in a pragmatic way. This is different from the British approach with its legally binding climate law or the German approach with active grassroots citizen groups operating independently from the large energy companies. However, the IEA notes that, although the agreement is useful, proper implementation is essential. According to the IEA, monitoring progress is necessary and in case of non-delivery more binding instruments have to be introduced. This could especially become urgent in industry and transport. When it comes to renewable energy incentive schemes, Dutch policy has been quite erratic in recent years. However, the government has now finally introduced what seems to be a cost-effective feed-in premium. This premium system, including an auctioning approach, has been an example for the European Commission in its recent Guidelines on State Aid for energy. So far the Netherlands have only succeeded in increasing the share of renewable energy in final demand from 2.3% in 2005 to 4.5% in 2013, a far cry from the targets of 14% in 2020 and 16% in 2023. As important as implementing the Energy Agreement is the need to develop a long-term roadmap, suggests the IEA. This energy roadmap should place activities towards 2030 in a context of 2050 ambitions to ensure that they are not cost-effective with a short-term horizon only, but also in a long-term perspective. Even taking all uncertainties into account, such as an approach would reward innovation more than the Energy Agreement does, which is focused more on short-term measures. The IEA suggests that the Netherlands should strive for technology development aiming at lowering the cost of low carbon technologies – especially energy efficiency and CCS (carbon capture and storage). Furthermore, without a long-term approach renewable energy growth will start to stagnate at some moment, as long as costs are higher than alternatives. 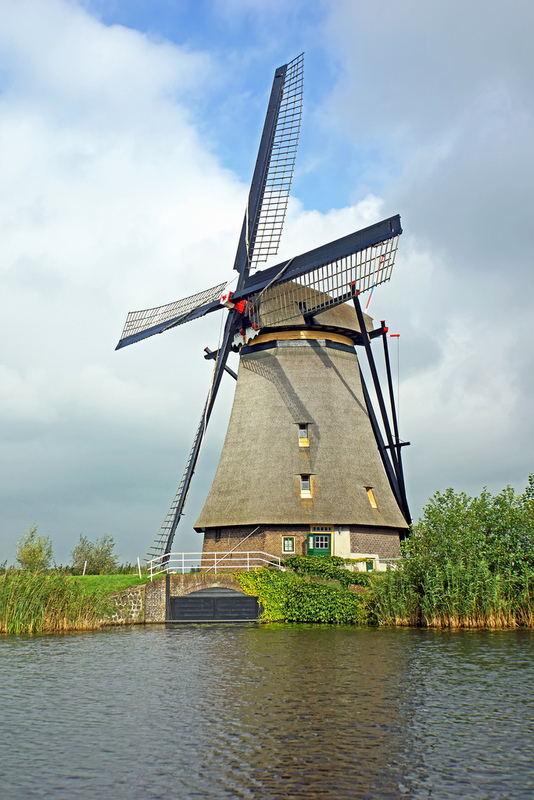 The Netherlands is still largely dependent on fossil fuels. It has the largest gas share in the fuel mix of IEA countries, major coal and oil ports and many refineries. National gas production has been largely constant for 30 years. Unlike the UK, the Netherlands has had a long-term approach in which small fields were encouraged to produce, facilitated by the large and flexible Groningen field. Since 2000, however, the production of the small fields has halved and this decline will continue. In the period up to 2024 total production will have halved. At current gas prices this would decrease government revenues by the equivalent of 1% of GDP. The IEA recommends investigating how more small fields and shale gas could be developed, which may only succeed if all relevant parties are involved. LNG is only a partial solution as it will be more expensive, leading to challenges for energy intensive industries who now pay a relatively low gas price. An equal vulnerability applies to the large refinery sector. The Dutch electricity sector is in good shape, notes the IEA. Prices are average, the customer switching rate is high and power outages are low. Capacity is adequate and even with a rising share of wind energy it is expected that back-up capacity will remain sufficient. Threats come from surrounding countries. Subsidy schemes, e.g. in renewables, compete with each other. All neighbouring countries (Belgium, France, Germany) have introduced or are considering additional intervention mechanisms in the power market such as capacity remuneration, which may lead to further imbalances. At this moment, Dutch gas-fired capacity stands idle because of low German wholesale prices caused by subsidized wind and solar power. The IEA is of the opinion that sufficient options are available to deal with the ‘missing money’ problem (the danger that insufficient back-up capacity will become available), such as demand response and better balancing markets. The Pentalateral Forum of Germany, France, the Benelux and Austria would be a suitable meeting place to discuss more joint approaches. The IEA also notes that if surrounding countries were to introduce capacity remuneration mechanisms, it would be better if the relatively flexible and abundant Dutch capacity would be part of the system. The Netherlands has already attained its Kyoto target. However, this has been mainly caused by a reduction of other greenhouse gases than CO2. Before the economic crisis in 2009, CO2 emissions were stable and did not decrease. So, more has to be done aiming at 2020. Interesting is the IEA’s suggestion to consider introducing regulation such as an Emissions Performance Standard (EPS) for old coal-fired generation. In Europe EPS has been a no-go in the climate debate, as the European Emissions Trading System has been chosen as the main instrument to decrease CO2 emissions in the energy intensive industry and power sector. An EPS would be superfluous and even harmful to the ETS, as regulated closure of coal-fired plants would further decrease the CO2 price, which is already low. The IEA does not elaborate on its suggestion in any detail, but it is clear that a continuation of the current low coal and CO2 prices will seriously undermine European ambitions to contribute to an effective global climate policy. This suggestion seems worthwhile to explore further. Pieter Boot is Head of the Climate, Air and Energy Department at PBL, Netherlands Environmental Assessment Agency. Previously, he has been affiliated with the IEA as Director Sustainable Energy Technology Policy and the Dutch Ministry of Economic Affairs as Deputy Director-General Energy.